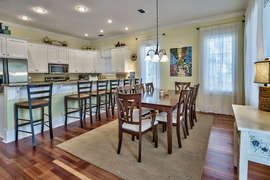 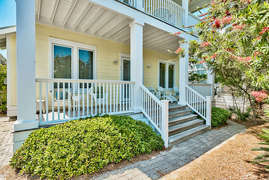 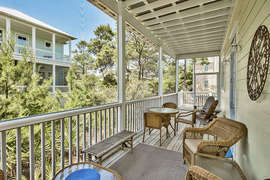 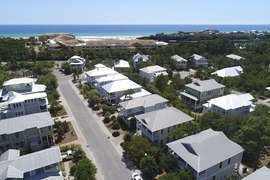 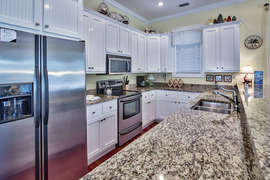 ‘Capital Gains’ is a five bedroom, luxury vacation home in the gated community of the Preserve at Grayton Beach. 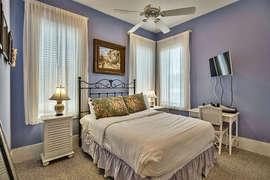 The property boasts two Master Suites, two Bunk Rooms, and a Queen Suite, bringing the sleeping total to 13 guests. 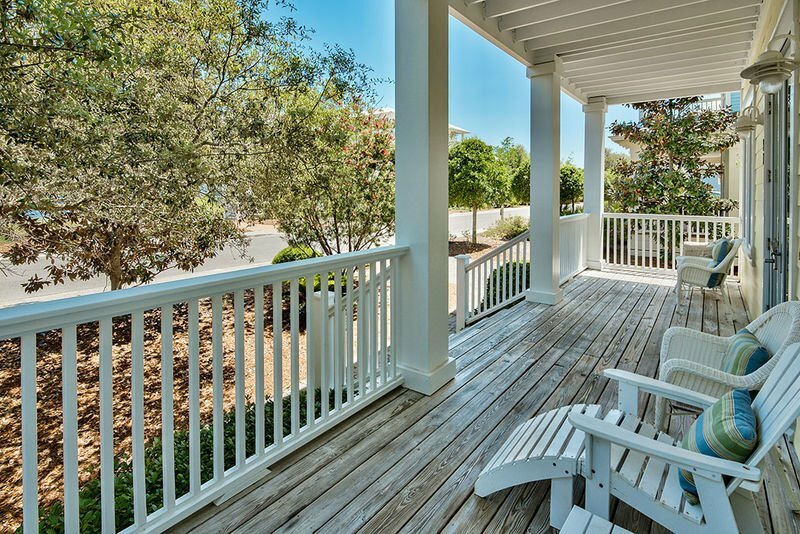 Plenty of outdoor space, including a wraparound back porch and a second floor balcony, promotes family time spent outdoors. 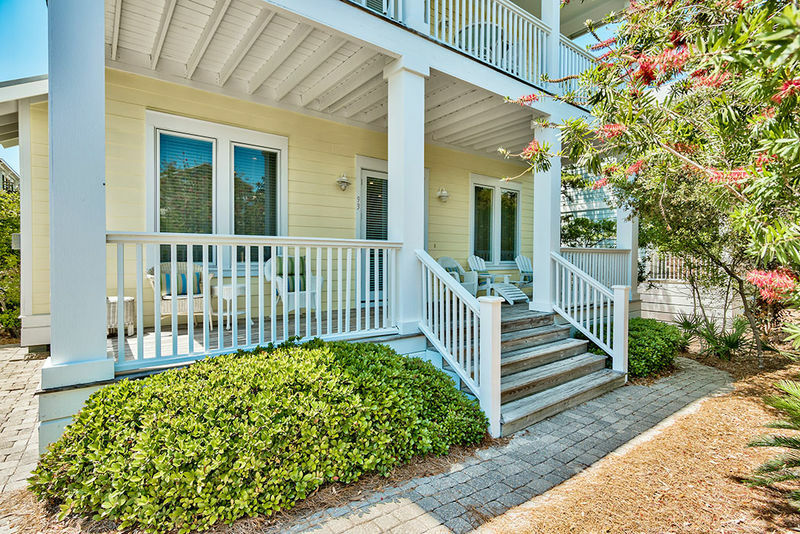 Enjoy community amenities including a handicap-accessible beach access walk, two community pools, tennis courts, and a small workout facility. 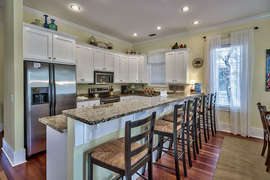 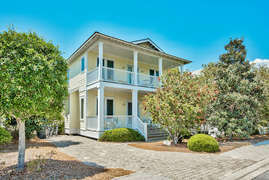 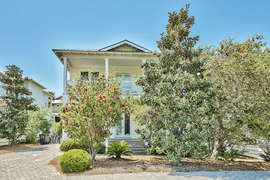 This 2700 square-foot home is just a four minute walk from beautiful beaches of the Gulf of Mexico. 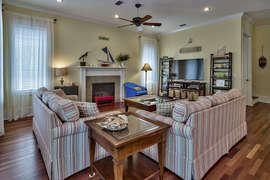 Guests will be greeted to the home by the luxurious, open floor plan living room. 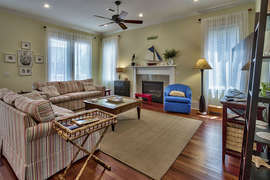 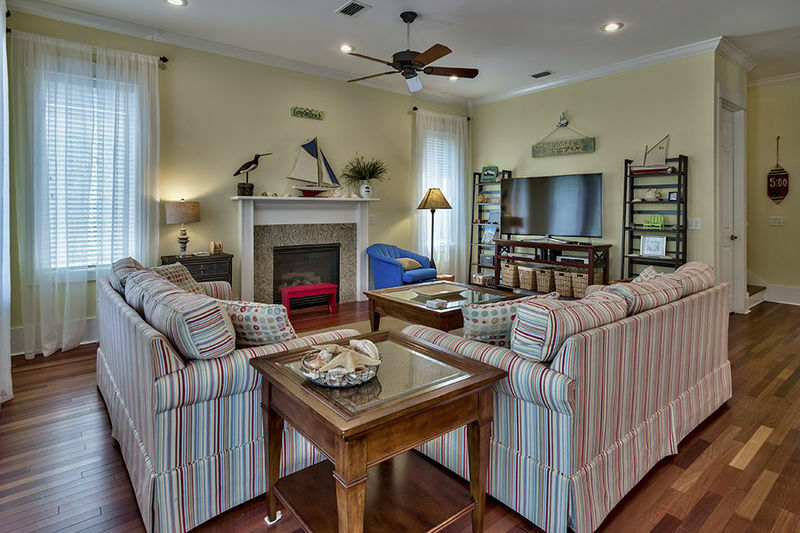 The inviting living room features a large Samsung flat screen TV, a DVD player, a Bose docking system, a fireplace, and ample seating. 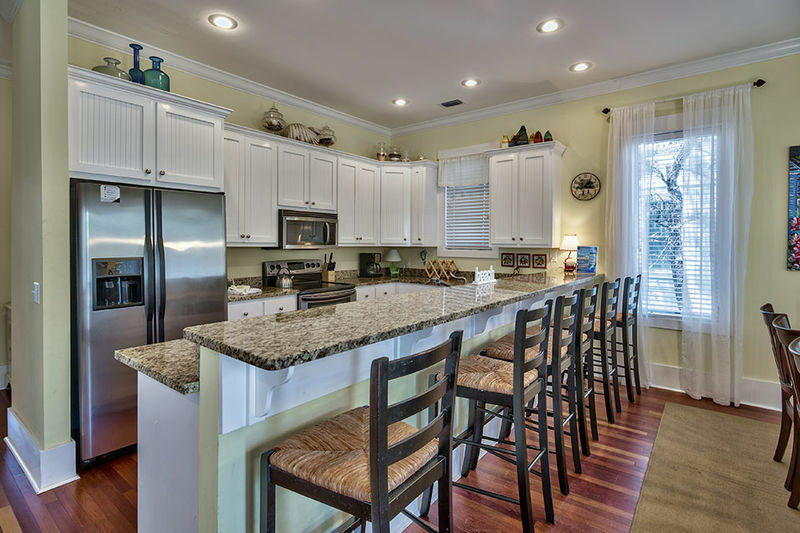 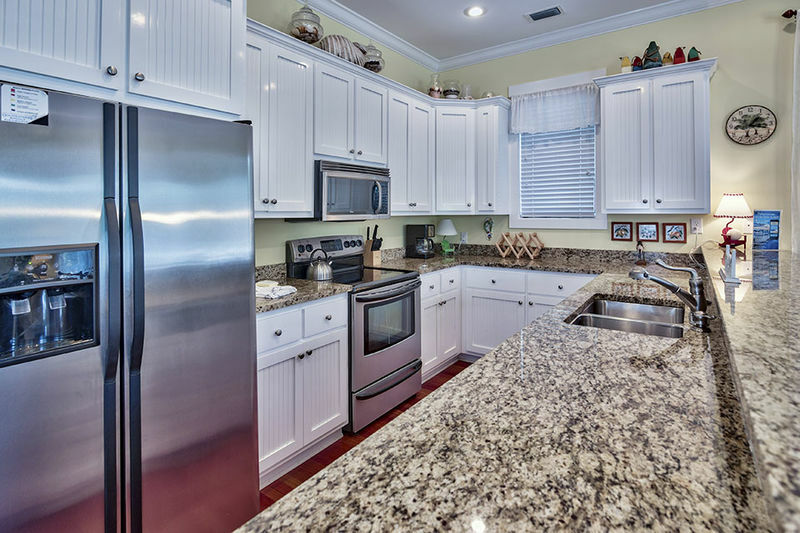 The gourmet kitchen is complete with Kenmore stainless steel appliances, granite countertops, and all the thoughtful details including a blender, toaster, and coffeemaker. 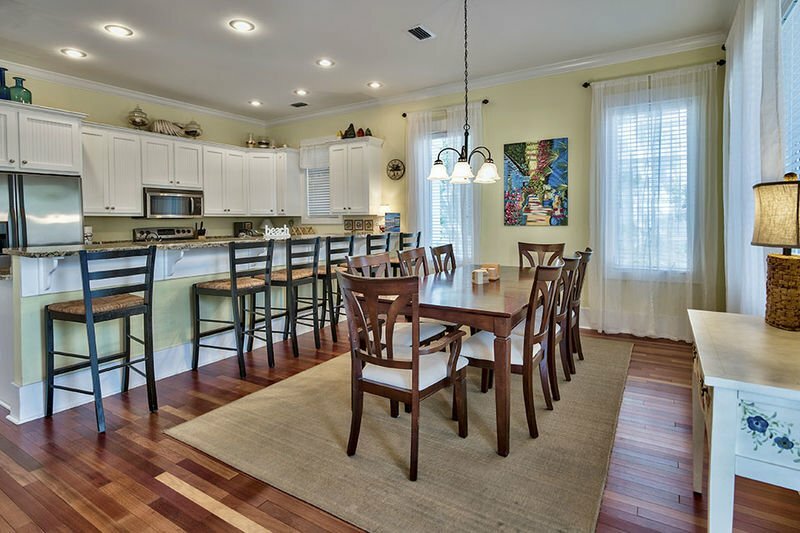 The formal dining area seats six, while additional, less formal seating for six is available at barstools along the kitchen counter. 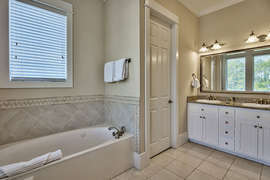 A half bath services the living area. 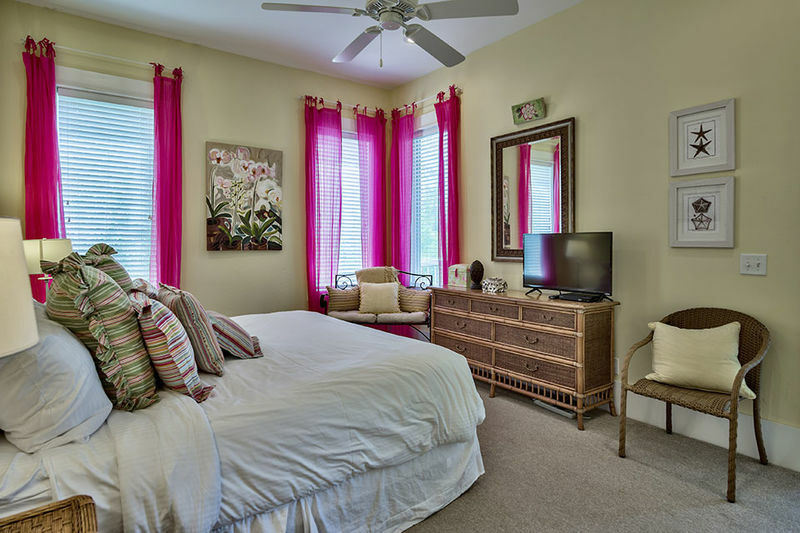 The first of the homes two Master Suites is also located on the first floor. 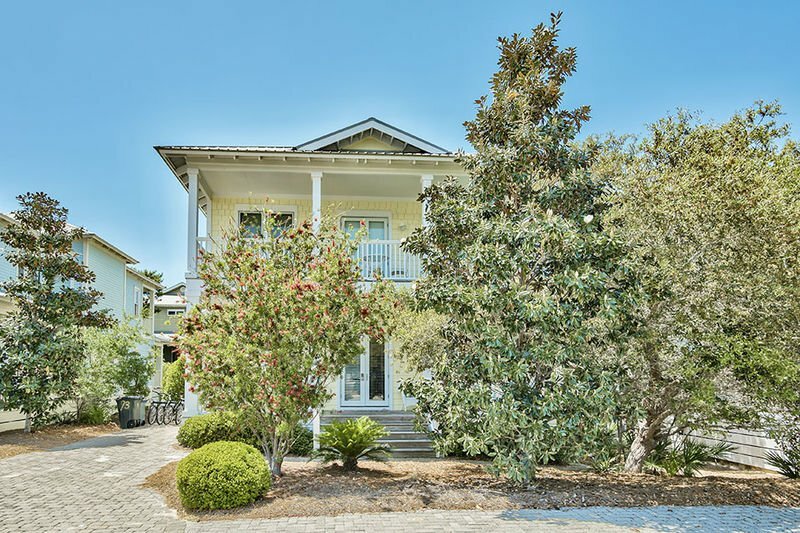 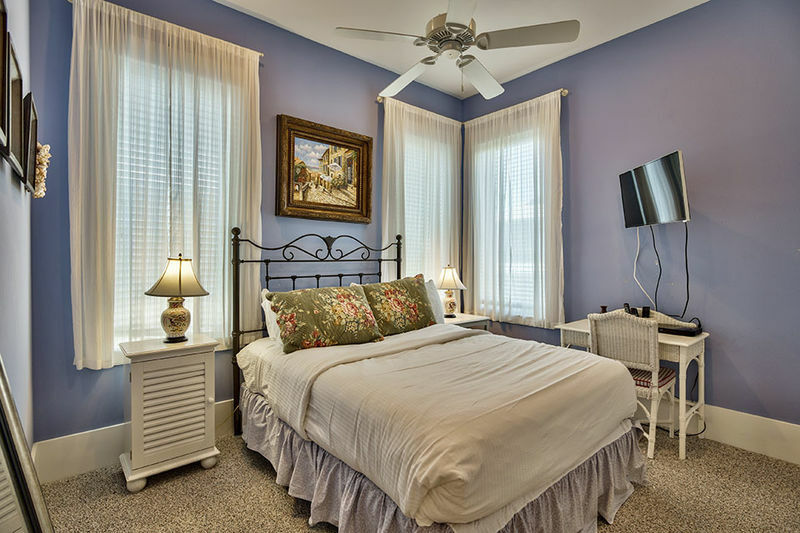 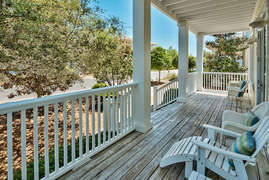 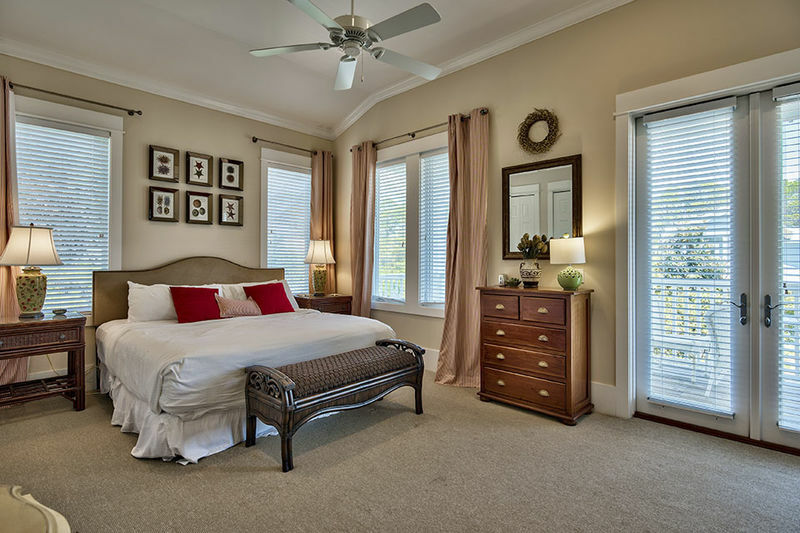 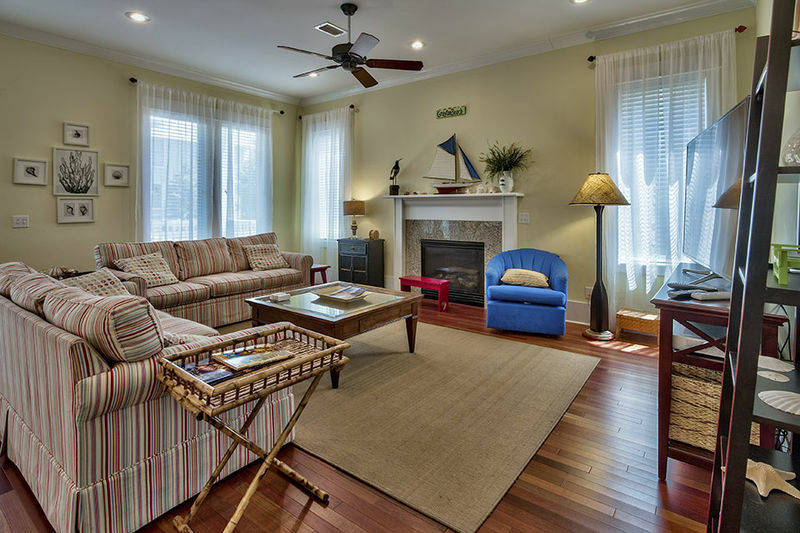 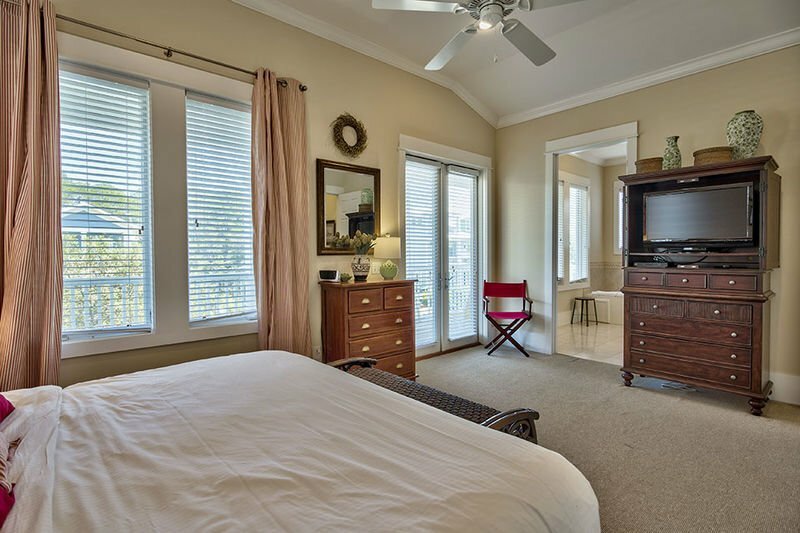 With a King bed, a flat screen TV, a large closet, and private porch access, this room welcomes visitors after a long day at the beaches of 30A. 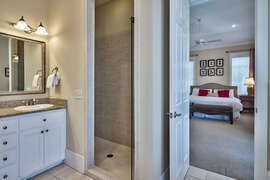 The lavish accommodations continue into the Master Bath which features a standalone shower, a jetted tub, dual sinks, and a private water closet. 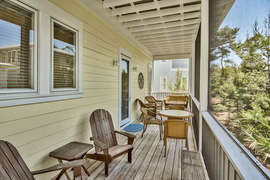 The wraparound porch that hugs the rear of the property is accessible via the hallway or the Master Suite. 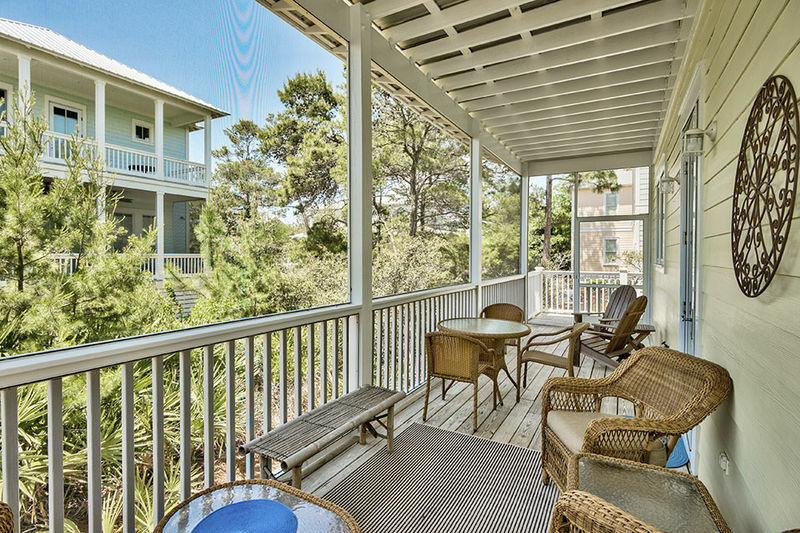 A portion of the porch features the grilling area, while a larger, screened-in area is complete with seating and an al fresco dining area. The majority of the home’s sleeping accommodations are located on the second floor of the property. A Queen bedroom sleeps two and has a queen-size bed, a flat screen TV, and a BluRay player. 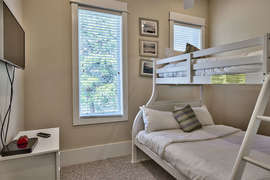 The home’s two bunk rooms are also located on the second floor. 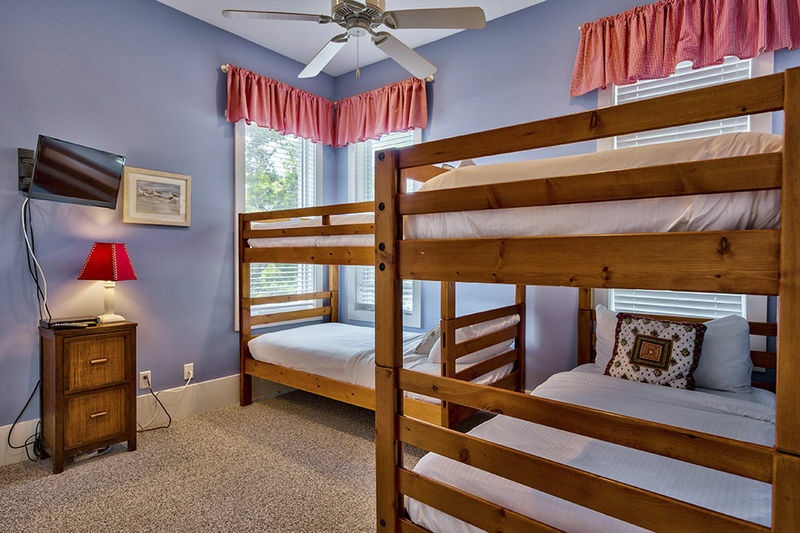 The first bunk room sleeps four on two sets of twin-over-twin bunks while the second bunk room sleeps three on a single set of twin-over-full bunks. 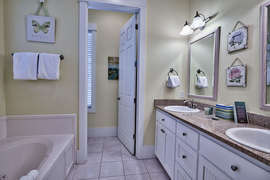 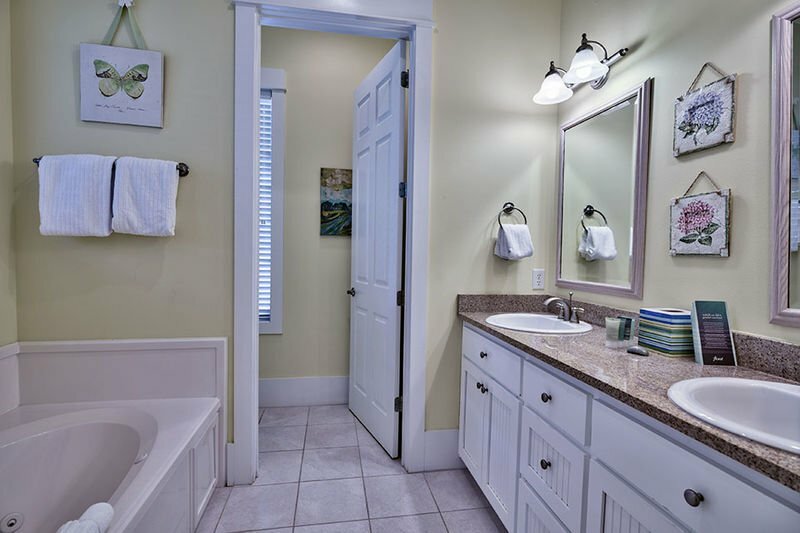 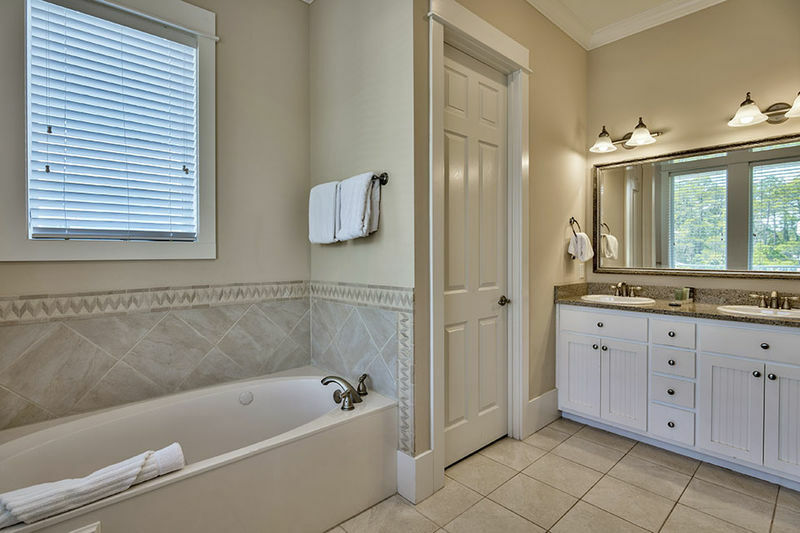 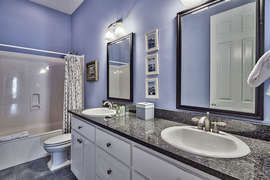 A full bath with dual sinks and a shower/tub combo services the second floor. 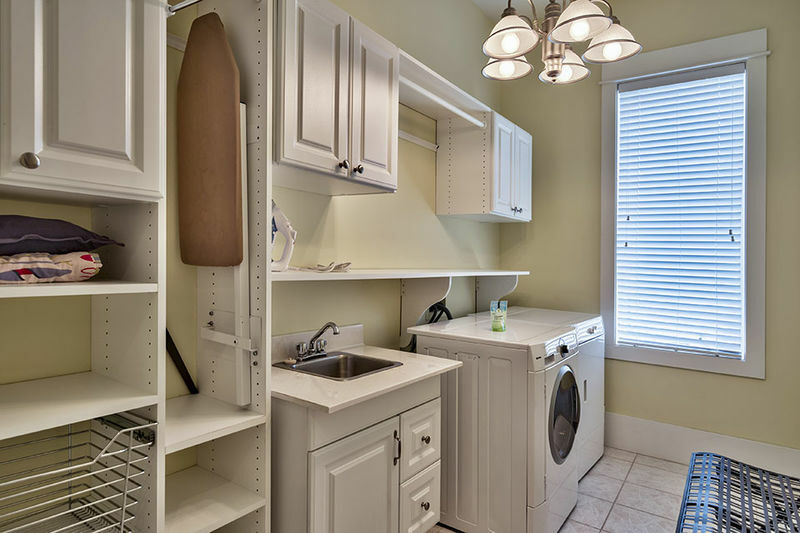 Passing the laundry room with Kenmore front-end-loading appliances, guests will come to the home’s second Master Suite. 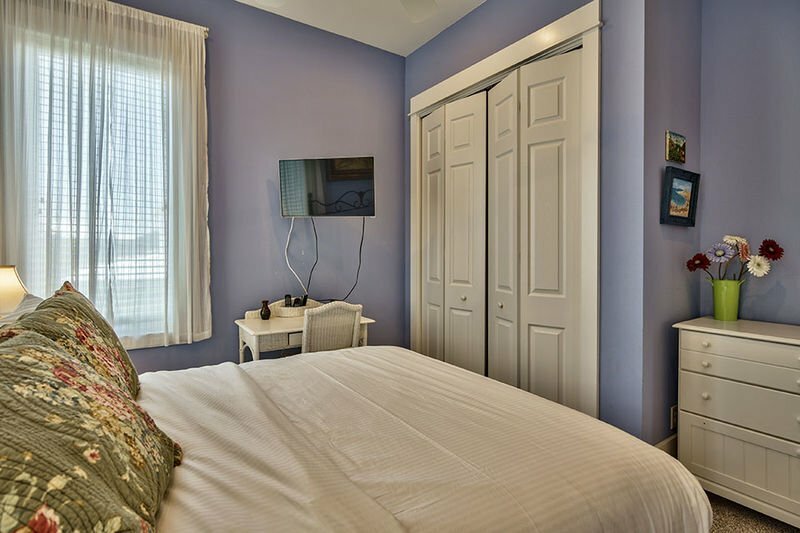 This Master Suite features a king bed, a flat screen TV, his-and-her closets, and a private balcony overlooking the front of the property. 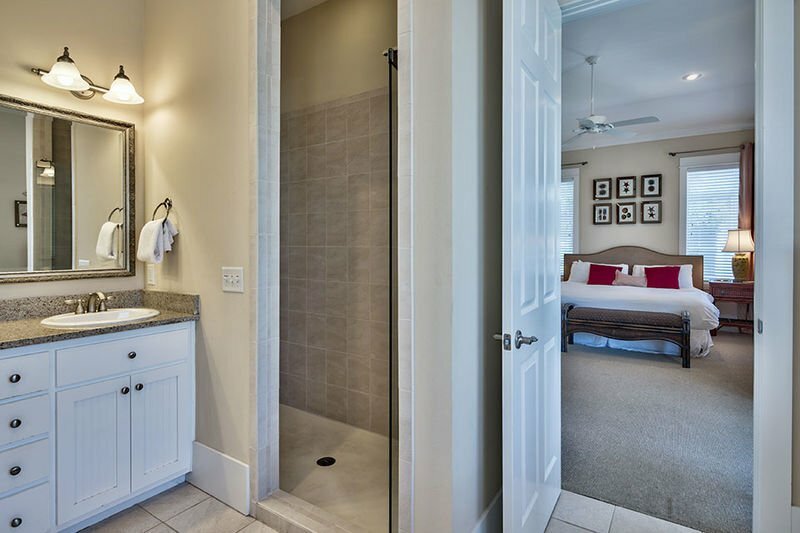 The en suite Master Bath is complete with a jetted tub, a standalone shower, dual sinks, and a private water closet. Everyone can benefit from the top-of-the-line accommodations, community amenities, and close proximity to the beach that ‘Capital Gains’ provides. 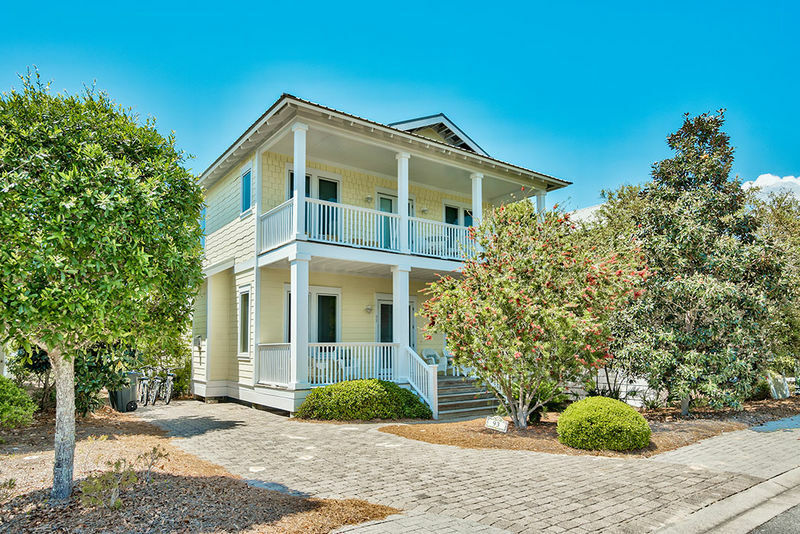 Cash-in on this one-of-a-kind home and you will not be disappointed!